NICCONI (AUS) (Bay 2005-Stud 2010). 6 wins-1 at 2, VRC Lightning S., Gr.1. 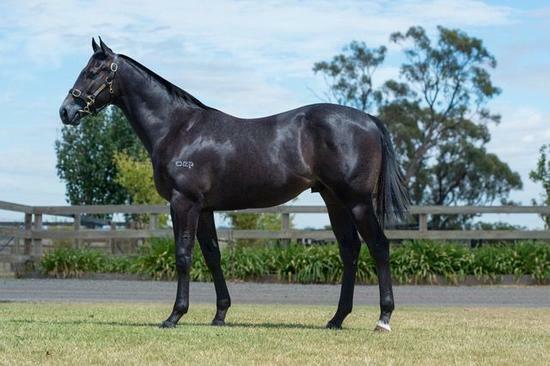 Sire of 337 rnrs, 240 wnrs, 15 SW, inc. Faatinah (SAJC Euclase S., Gr.2), Sircconi, Chill Party, Nicoscene, Time Awaits, Concealer, Hear the Chant, Niccanova, State Solicitor, Caipirinha, It's Been a Battle, Ayers Rock, Quatronic, Exclusive Lass, Loved Up, SP Shokora, Fickle Folly, Bolero King, Nieta, Caesour's Dream, Niccolance, Akkadian and of First Class Miss, etc. The Engineer (g. by Excellent Art). 2 wins at 1200m, 1400m in 2016-17, Oakbank RC Between the Vines H.
Ready to Romance (f. by Ready's Image). Winner at 1150m in 2017-18 in NZ. Fille de Charlie. 2 wins at 1100m, 1200m in 2017-18, MVRC Nelson Alexander P.
Cardiff Castle. Winner at 2000m, R163,575, in 2016-17, 3d Vaal Book for Champions Day in May Middle S.
Our Sorsaledo Bay. 7 wins to 1400m, 2d AJC Long Tan Memorial H., 3d AJC Bigpond H., Helshaw Grange H., Hawkesbury RC Richmond Club H.
Parisian Romance. 3 wins. See above. Soldier's Image. 5 wins to 1200m, A$89,041, MRC (Mornington) Bayside Jeep H.
Scenrosa (Scenic). 3 wins at 1300m, 1400m, AJC Cabramatta Inn H., Rod Mackie H., 2d STC Christmas S., L, Spaceship H., Ansett Australia H., Florida Keys H., 3d STC Singapore Turf Club Trophy H.
ROSA'S IMAGE (Rory's Jester). 5 wins. See above. PURE ELATION (I Am Invincible). 2 wins at 2, A$555,870, in 2017-18, ATC Percy Sykes S., Gr.2, Sledmere Stud 2YO P., 2d ATC Reisling S., Gr.2. ROSARINO (Perugino). Winner at 2, A$76,450, VRC Talindert S., L, 2d MVRC Tabaret 2YO H., 4th VRC Ottawa S., L. Producer. COHORT (Marauding). 10 wins-1 at 2-to 1500m, A$606,560, BATC Sprint H., L, AJC Hall Mark S., L, GCTC Goldmarket H., L, 3d BATC Doomben Ten Thousand H., Gr.1, AJC Villiers S., Gr.2, VRC Hong Kong Jockey Club P.H., Gr.3. ROSA'S PATH (Rory's Jester). Winner at 2, A$85,600, VATC Mona Nursery S., L, 2d ACT RC Black Opal S., Gr.2, STC Magic Night S., Gr.2, MVRC St Vs Microsurgery P. H., Buy Australian H.
OCCIDENTALIS (Scenic). 6 wins from 1200m to 1600m, NZ$164,465, A$1,000, Counties RC Karaka Classic, L, ARC Viva Fashions in the Field H., 3d BOP RC Japan-New Zealand International Trophy, Gr.2, Hawkes Bay Traderacks S., Gr.3.